To Splurge or to Diet?? Why not both! Well today is the best of days, my birthday! I also know that the cupcake I had for breakfast was so worth it, but how much is too much? Birthdays are the best reason to have fun, let’s face it, it is your day, the day that everyone pays attention to you and your wishes…but don’t let that take away from being healthy. I am by no means saying don’t have cake or ice cream, maybe even a little of both, but it also is not a reason to fall off the wagon. There are plenty of food options that are healthy substitutes for all the good sweets we love so much. 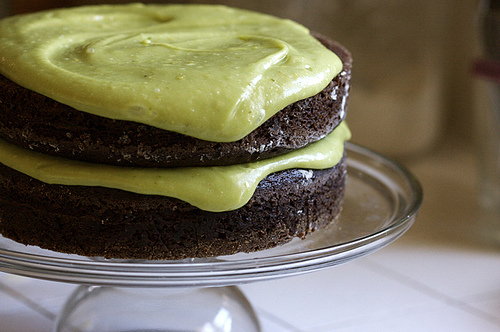 For example those brownies your roommate made you and left in front of your door could be made from black beans rather than brownie mix, or that cake you indulge in could be made using avocados! Fruit can always be added to increase the amount you eat to feel full while not having to consume as much of the processed foods, and make sure to eat a regular diet along with the birthday celebrations. Keeping up with normal eating habits will make you feel more normal as the day goes on, rather than each meal being a birthday splurge. There are countless ways to find recipes that alter the foods we expect to eat on our birthdays but keep us from going in a food coma of sugar and fat. Treat yourself as you deserve e to be treated on your birthday, and that is with a guilt free yet delicious dessert with your friends…or if you are like me they can have the other cake. If you are interested in either of these recipes for inspiration follow the links below. This entry was posted in Uncategorized and tagged birthday, diet, food by foodurecognize. Bookmark the permalink.